Are you looking for professional siding contractor in Highland Park IL? The picture above is a siding project we did in Highland Park. Siding & Windows Group replaced and installed stunning James Hardie shake siding to transform this home into the envy of the neighborhood! Read more about this and other siding projects in Highland Park. Replacement Windows – from Marvin windows. Siding & Windows Group is Highland Park’s leading siding contractor and are recognized as a leader in the siding industry for originality, innovation, and architectural integrity for exterior design. Homeowners praise our siding work, and enjoy the amazing results: a beautiful looking home, a lifetime siding warranty, and our ten-year labor warranty. Siding is one of the most important investments you’ll make. The decision to re-side your home is more than likely one you’ll make once and live with for a long time. That’s why it’s so important to get all of the facts about the different siding options in order to make the right choice about siding for your Highland Park home! We are the premier Highland Park Siding Contractor! Don’t just choose any siding contractor in Highland Park! Choose the best! 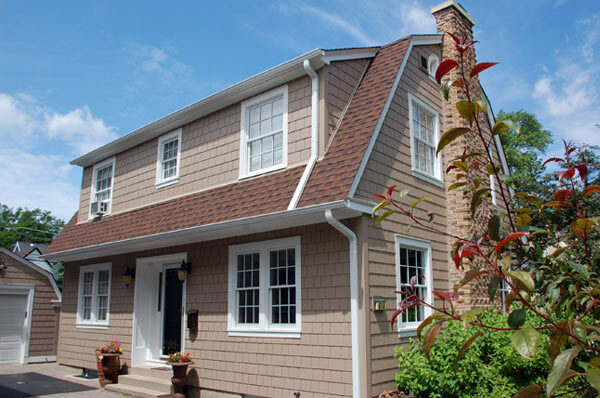 Siding & Windows Group, is proud to offer superior siding products in Highland Park, including James Hardie siding. To learn more about the benefits of this top-quality fiber cement siding product, click here. Not only that but we do the job right – the first time! Siding & Windows Group is proud to be a siding contractor that’s part of the Highland Park community, and we’re committed to offering only the highest quality products with the best customer service and professional installation job to it’s residents. Click here to receive a free estimate for your Highland Park siding project from Siding & Widows Group! Click here to read more customer testimonials in Highland Park and other Chicagoland areas.